In less than a month, I will turn 40. Moments ago, I did something at my local Starting Strength gym that I couldn’t do when I was 18: I squatted 405 pounds for my first ever squat 1RM. I am looking forward to my 40s. I’m looking forward to accomplishing something I’ve never personally witnessed anyone accomplish – becoming stronger at 50 than he was at 40. I’m not talking about strength for strength’s sake. I’m talking about becoming more useful – and harder to kill – for my four- and seven-year-old daughters when, 10 years from now, they turn 14 and 17. 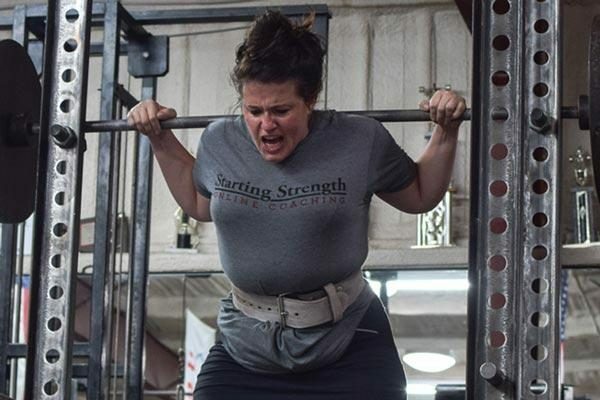 This article is directed at those who may be similarly situated to where I was one year ago when I first discovered Starting Strength. I read the book, watched the videos, and embarked on my first attempt at linear progression (LP), on my own, sans coach. I was sure I could pull it off. Why not? I have two post-graduate degrees. I like to read. I have an iPhone on which I can record worksets. Better to do linear progression on my own, I thought, because the nearest Starting Strength gym, Horn Strength and Conditioning (HS&C), is in an inconvenient location for me. HS&C is 12 miles from my house, but 12 miles is not 12 miles in Los Angeles. The space-time continuum has been wrecked in LA. Twelve miles in LA on “The 405” is, depending on the time of day, the same relative distance as Las Vegas to Salt Lake City on Interstate 15. And I didn’t want to pay for a gym membership when I already had one at a box gym that had plenty of barbell racks. It seemed like a no-brainer to do LP solo. It turns out I was wrong. And not just a little wrong. Linear progression is not unlike a flight. You’re trying to get from Point A (e.g. a rank novice with a 135-lb squat) to Point B (e.g. an intermediate trainee with a 405-lb squat). I pulled the LP equivalent of buying a used Cessna 150, taking off from Los Angeles toward what I believed to be New York, crash landing it three times before eventually ending up “stuck” – clinging to a drilling platform during hurricane season after ditching the Cessna in the Gulf of Mexico. I chose solo aviation to avoid the inconvenience and cost of hiring a professional pilot, but my solo efforts ultimately proved significantly more costly and less convenient than if I’d first embarked on my LP flight with a professional pilot. I’ve now spent 12 months doing “LP.” The first nine months – on my own – were mostly a counter-productive waste of time. The last three months – at HS&C – have been more productive than I could’ve imagined when I first walked into the gym. If you’re doing it on your own, or considering doing it on your own, I’d like to offer a few thoughts to dissuade you. 1. You’re probably capable of lifting much more weight than you think you are capable of lifting. When I walked into HS&C for the first time, I thought my squat would peak at 300 lbs, once I got my form corrected. I’d gotten “stuck” at 270 lbs on three separate occasions during my do-it-yourself phase. I never would’ve imagined that Paul’s form corrections would’ve unlocked an additional 135 lbs of LP bandwidth. Looking back now, it makes sense. My main problem was that I was leaving my hips out of the lift, despite consistently doing what I knew I could do based on nine months of iPhone video playback – I kept my back straight, shoved my knees out, and got below parallel. My problem was, as Paul said about two seconds into my first work set at HS&C, my “back angle was too vertical.” Of course it was! It’s what I’d focused on for the preceding nine months, like Adonis staring into his own reflection, I reveled in the consistency and beauty of my back angle as I descended into and out of the bottom of my squat. To me, it looked great. To him, it was robbing my squat of the largest muscles in my body. It’s taken me three months at HS&C to truly learn what it feels like to (1) lead with the hips out of the bottom and (2) “stay in the hips.” Vanity and ignorance of what a proper hip drive looks like on an iPhone screen gave me a 270-lb squat after nine months of work. 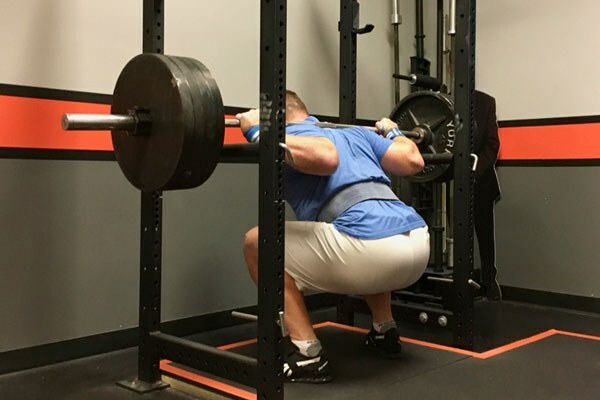 Corrected technique gave me a 405-lb squat after three months of work. 2. I wasted nine months of valuable training time. 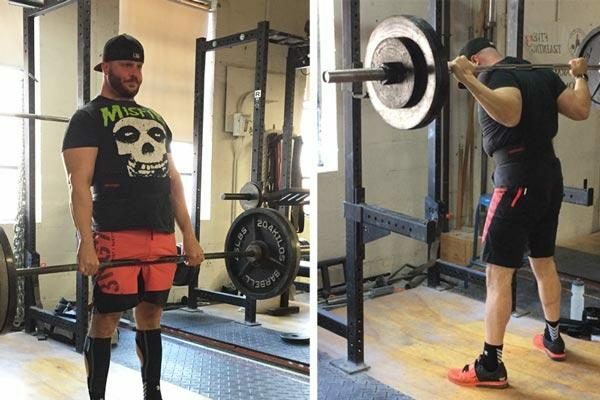 On my own, I spent nine months yo-yoing between a 185-lb squat and a 275-lb squat. Paul reset my squat at 205 lbs, which we took to 405 lbs over the course of three months. I’m glad that I finally got it right, but I’m still kicking myself. Where would I be now if I’d gotten some help when I first began Starting Strength a year ago? I would’ve hit my 405-lb squat by Halloween 2017 and who knows what I’d be squatting today after eight months of intermediate training. I’ll find out eight months from now, but I’ll never get those eight months back. 3. 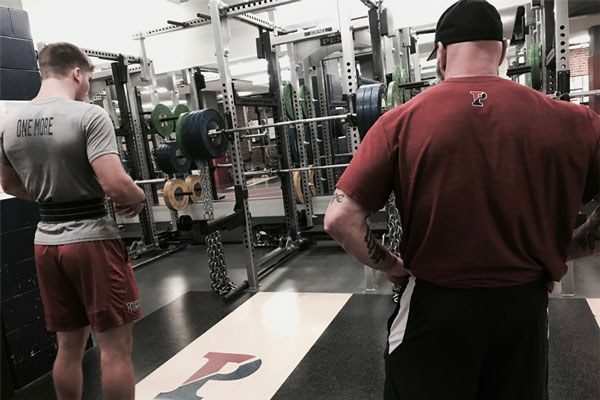 I needed a coach to filter my fear – the one thing that hasn’t changed between my DIY phase and my HS&C squats. On my own, I dreaded squats above 255 lbs. At HS&C, I’ve dreaded most of my work sets above 300 lbs, although the fear threshold has increased to the point where it doesn’t kick in now until about 385 lbs. The fear I feel now is motivating; the fear I felt on my own was debilitating. Why? On my own, I wasn’t just insecure about whether I could get the weight up. What is far tougher to cope with is fear borne not just of insecurity, but of ignorance and confusion in the middle of heavy work sets: during the 1st rep thinking, Is my back held straight? During the 2nd rep wondering, Did I go deep enough? Why does this rep feel so much harder than the first rep? During the 3rd rep thinking, I think I just went too deep, but at least there was a bounce so maybe that feeling of “too deep” means I actually went just deep enough to get the right bounce? During the 4th rep, asking, Why are my knees collapsing on the way up? What did Rip say about that in that interview I read last week? – forget it I don’t have time to think about what Rip said in an interview because I have another rep to do. And during the 5th rep thinking, Dear, God, I don’t care how this looks on the video playback I just want this over with. That is a lot of heavy baggage to deal with while trying to lift heavy weights. It’s much easier to delegate those questions to a professional standing a few feet to the side of you. You’ll still be scared of the weight, but without all the excess baggage. 4. I needed a coach to help me understand that not all missed reps are caused by pusillanimity. If you played high school sports, you may hear a voice inside your head upon missing a rep that says something like “stop being such a ______” or “don’t be such a _______.” Fill in the blank with the word choice and tone of voice of your most sadistic youth coach (or R. Lee Ermey’s character from Full Metal Jacket). In the context of LP, there’s a downside to that voice that I never would have realized doing LP on my own. It’s not always an accurate assessment of what caused a missed rep. I missed squat reps at 345 lbs and at 375 lbs. I immediately began blaming myself for being “such a _______.” Paul didn’t. Instead, he just tweaked my programming (introducing back-off sets and light days). Having read Practical Programming, I was familiar with these programming concepts, but if I’d been left to my own programming I do not believe I would have adopted them because I would’ve misdiagnosed the missed reps. I would’ve listened to the drill instructor in my head, blamed myself, and reset my progression 30 to 40 lbs. 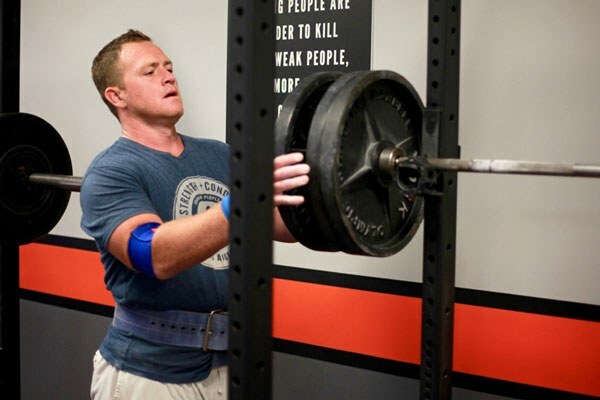 By doing so, I would’ve robbed myself of the progress I’ve experienced going down a slightly-adjusted programming path that eventually led to the 405-lb squat. 5. Solo Training is More Costly and Less Convenient than Early Coaching. It costs more to fix deeply engrained bad habits – leading with my chest out of the bottom of the squat – than it does to learn something correctly the first time. I love HS&C and the other clients who attend Paul’s M-W-F morning group sessions, but my love of HS&C has not rendered it a convenient location for me, nor does it make a lot of financial sense to keep training there now that I’ve invested in building a home gym. Despite the inconvenience and cost, I just paid for my fifth one-month membership – this is probably four more months than I would’ve needed had I started at HS&C rather digging myself deeper into a bad-habit hole on my own. 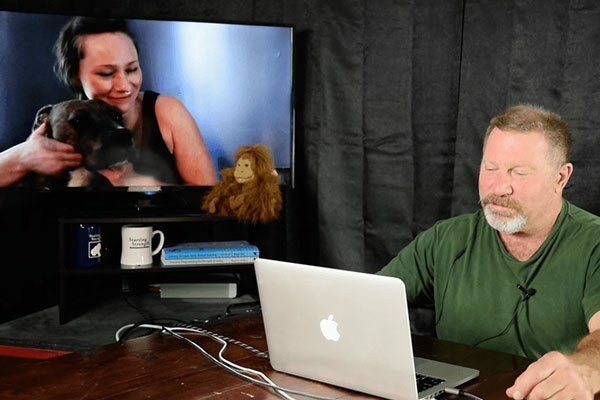 It has been humbling to repeatedly observe that the HS&C clients – including my wife – who’ve sought coaching at the beginning of their training have needed far less coaching than I have needed. This wasn’t meant to be a hagiography about my coach. People aren’t perfect and coaches are people. For example, I tried my best not to question his patriotism whenever he criticized country music and sleeveless shirts, and after he vetoed the red, white and blue weightlifting belt I brought into his gym on my first day because it was merely “decorative.” Despite his questionable taste, he is a good coach, maybe even too good. He’s a bit puritanical in his devotion to proper form. I developed a heel kick in my press which he hated. We spent a month correcting it, which I resented because my work set weight went nowhere during this month. It was the closest I ever came to telling Paul to get bent. To me, the heel kick was merely an idiosyncrasy, but not a disqualifying one. To him, it was an abomination that had to be corrected. 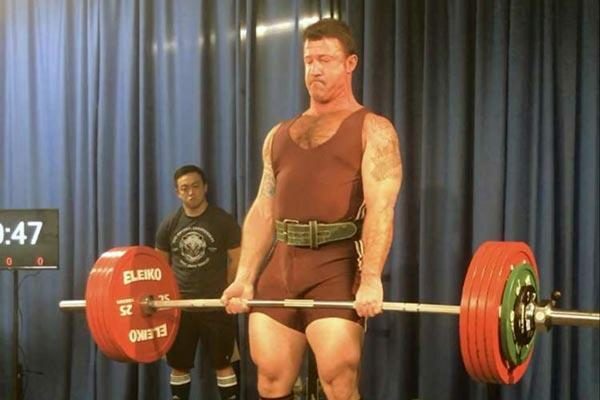 I kept my mouth shut (his gym, his rules), but it still irks me a little bit because I’m convinced I’d have a 225-lb press by now – instead of a 200-lb press – if he’d just rolled with my idiosyncratic version of the press. So, don’t be me. Seek professional help. Do it now. Do it right the first few times. It will ultimately save you money, spare you inconvenience, and get you to where you’re going faster.